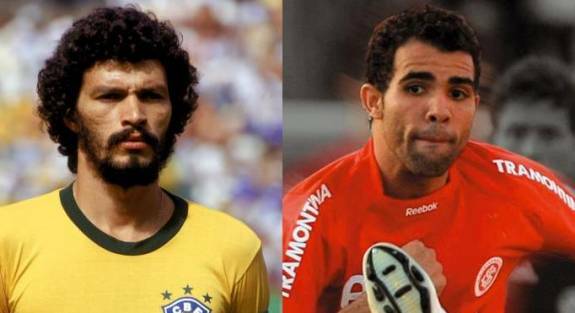 “He physically looks like Socrates. He runs like him. If he can play like him we’ll be all right. He does have that funny running action. There were two top Spanish clubs in for him. I couldn’t get to Brazil with us being in the situation last year where we were trying to finish in the top four. So [chief scout] Ian Broomfield went over. He’s not a Robinho. He’s a big lad, he gets around the pitch, he can tackle, he can pass it and play. He’s a box to box midfield player. Maybe an Abou Diaby-type from Arsenal. A big rangy type of player. A Patrick Vieira-type player perhaps. Ah, just a little smidge of casual racism to top it all off. Triffic. haha WTF redknapp’s a legend! Thank you for clearing up the fact that the Brazilian won’t run off to go Samba dancing somewhere, Harry.